The Clinical Effectiveness Unit at the RCSEng is advertising a Research Fellowship for a project entitled ‘Measuring outcomes after breast cancer surgery’. It is sponsored by the Association of Breast Surgery, British Association of Plastic Reconstructive and Aesthetic Plastic Surgeons and The Royal College of Surgeons of England. Informal enquiries regarding this post should be directed to Dr David Cromwell, Director, Clinical Effectiveness Unit (email: dcromwell@rcseng.ac.uk). 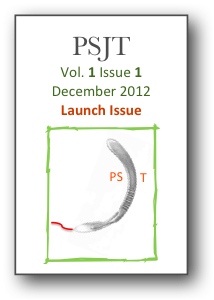 The Plastic Surgery Journal for Trainees has just launched. Check it out here. "This quarterly journal aims to harness junior trainees' innovative ideas and to act as a platform into the publication process, which can often be challenging. Full access to all the articles will be published online. No subscription fee is required." 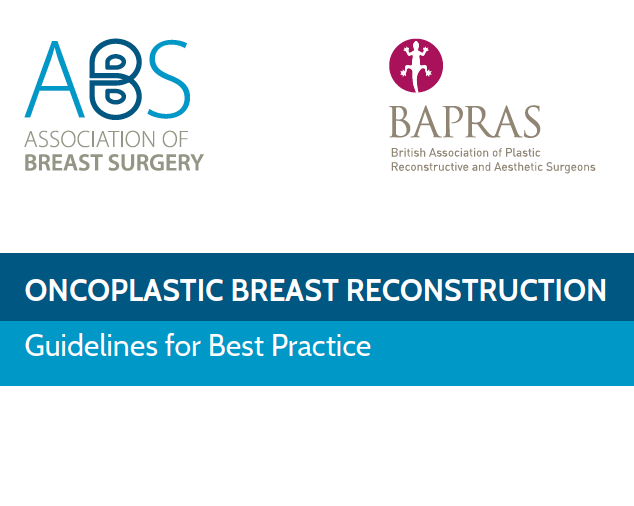 A copy of the brand new ABS / BAPRAS Oncoplastic Breast Reconstruction Guidelines for Best Practice dropped through the letter box yesterday. The RCSEng offers a related course: Specialty Skills in Oncoplastic and Breast Reconstruction Surgery Level I.
Dr Joseph E. Murray, plastic surgeon and Nobel laureate, sadly passed away yesterday. He was a pioneering surgeon scientist, who performed the first renal transplantation. His autobiography is well worth reading. See the obituaries in the Telegraph and New York Times. Last week BMJ careers had a course review of the reconstructive trauma surgery interface fellowship - read it here. There are a number of different interface fellowships available for senior trainees. The Severn Deanery administers them and has a website with all the details here. The official journal of the Korean Society of Plastic and Reconstructive Surgeons has had a big year. In 2012 it became the "Archives of Plastic Surgery", changed languages from Korean to English, and is now indexed in PubMed. It is looking to join ten other plastics journals as a Science Citation Index Expanded (SCI[E]) journal. The current journals in the list are below (impact factor in brackets). There are many other plastic surgery journals, check them out here. The Plastic Surgery Section of the Royal Society of Medicine has a great evening coming up on Tuesday 11th December. Mr Edward Kiely will be talking about his experience of separating conjoined twins. A taster is below. Usual rules apply: pre-register here, registration from 1830, starts 1900. The Royal Marsden has a Surgical Lecture Series co-ordinated by Aadil Khan, a plastics trainee at the ICR. The programme for the rest of this academic year is below. The talks start at 1800 at the Royal Marsden Hospital, Fulham Road. Open to surgeons. The 5th Annual Undergraduate Plastic, Reconstructive and Aesthetic Surgery Conference is on the weekend 1st/2nd December 2012. The abstract submission is open and there are still tickets available here. The programme has been updated from previous years and there is an optional Stryker Hand Fracture Course. This has good reviews . . . Plastic Surgery Research - who, what, where, when, how? BAPRAS have just updated the research section on the website. There is new advice on academic training and when to do a higher degree. There are also details on the various MSc courses available in the UK. Including the new course at UCL. The AO Hand Fixation course in Leeds was excellent. There was a good balance between, lectures, group discussion and practical sessions. The later was the main focus and most enjoyable. It was interesting to hear from other trainees that for some overseas hand fellowships the AO course was the only hand course that was recognised. 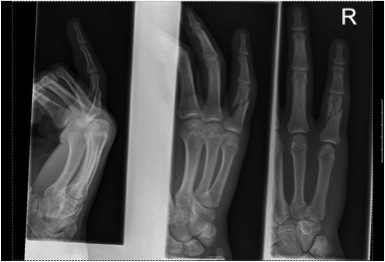 Leicester Hand Fracture Management Course 12th/13th November 2012. Contact Mrs Elaine James ej9@le.ac.uk. There are a few places left. 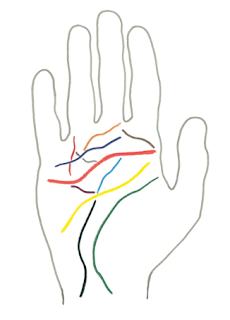 The Pulvertaft Hand Centre in Derby runs courses - the next will be in 2013. DePuySynthes for details of their kit and how to use it. Medic-Courses have a "Core Skills in Plastic Surgery and Anatomy Refresher Course" on 18th December 2012. It will take place at Guy's Hospital Medical School and promises to cover essential skills in plastic surgery, key anatomy and practical skills. It is £200. Future courses will include a plastic surgery emergencies course and Botox training course. If you are interested check out their website here or email plasticsurgeryskills@gmail.com. This is a bit late notice. The course is on Thursday 8th and Friday 9th November up in York at the Smith and Nephew Surgical Skills Centre. 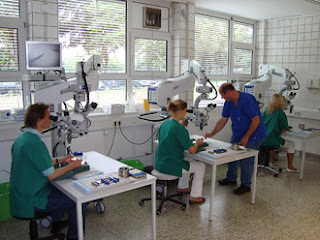 It is an intensive hands on course based in the wet lab. For registration and further information go to www.smithnephewace.com. 3D printing or additive manufacturing has finally reached a tipping point. The 3D Printshow London 2012 this weekend showcased what can be achieved. 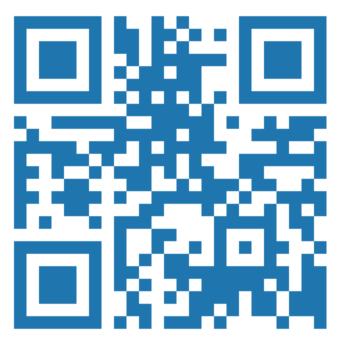 The software is now user friendly e.g. Google SketchUp and the printers are 'cheap'. 3D printers for the home are around £1000; brands include formlabs, MakerBot, ultimaker and cb-printer. Reprapcentral has a 3D printer store. 3D printing has been used for medical purposes for sometime. For instance, creating models from CT scan data to plan operations and to print custom prostheses. As the technology becomes cheaper there will be many more applications. Biological 3D printing is also making progress. Organovo is one company producing printed tissue. The video below demonstrates printing blood vessels using an off the shelf printer. Tomorrow is a joint RSM and Pan Thames training day on rhinoplasty. Below is the Plastic Surgery Section programme for the rest of the year. A 12 month craniofacial fellowship has been advertised in Birmingham. Closing date for applications is Monday 22nd October at Midnight. 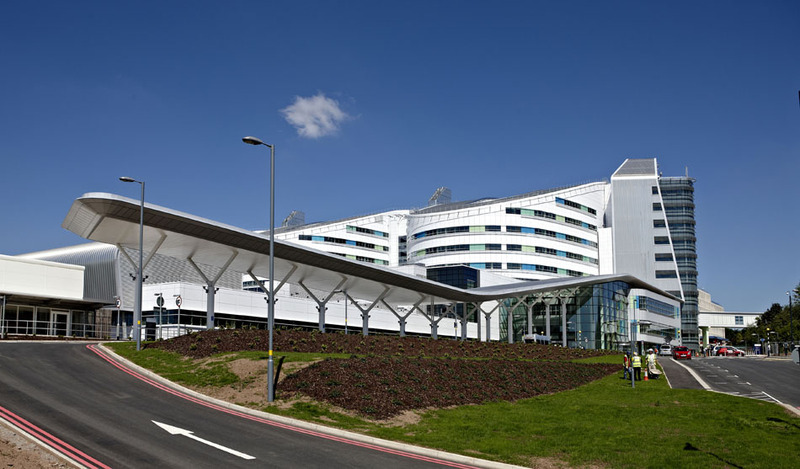 Contact Mr Hiroshi Nishikawa, Clinical Lead, Craniofacial Surgery Unit at the Birmingham Children's Hospital or email mmcteam@westmidlands.nhs.uk. Application is via the online recruitment service here. The project is steaming ahead, Module 1 is almost complete. 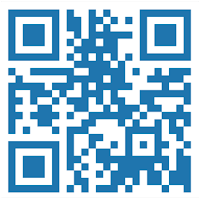 Register here to start using the resource. The project relies on the keen authors to provide the content. 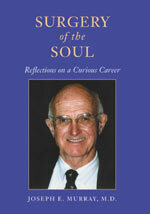 Junior trainees can contribute as along as there is a consultant senior author. A new list of topics has just been released. If you would like to contribute, contact elpras.project @ gmail.com. The Medicines and Healthcare products Regulatory Agency (MHRA) recently launched a new page exclusively to address medicines and devices related to cosmetic surgery. There is also a separate breast implant page. I have added an apps page here. 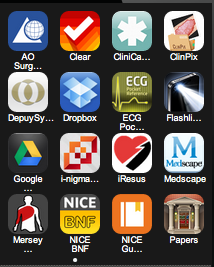 It has a selection of apps I find useful as a trainee plastic surgeon. Papers for keeping a library of journal articles. This can sync across devices if the library is kept in Dropbox. Worth every penny. NICE BNF is the official British National Formulary - you will never need to ferret around in recovery again to find a paper copy. Medscape has a very large plastic surgery resource covering conditions and procedures. Mersey Burns allows easy calculation of burn surface area. It was the first app to be approved by the MHRA and is CE marked. Visible Body is a fantastic 3D anatomy programme. Good for pre-operative memory refreshing. . . . There have been some recent adverts for research related plastic surgery jobs and courses. The latest Bulletin of the RCSEng also had 'a plea to swim against the tide' in terms of improving support for surgeon-scientists. 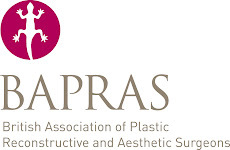 The Healing Foundation and BAAPS are sponsoring a one year research fellowship in aesthetic surgery. The topic is adipose derived stem cells and fat grafting. Closing date: 05/09/2012. Check out the University of Manchester website for details. UCL have advertised an MSc/PhD in Burns, Plastic and Reconstructive Surgery led by Prof. Butler and Prof. Seifalian. The projects will be focused on tissue engineering for reconstructive surgery. Contact a.seifalian@ucl.ac.uk for more details. The Society of Academic and Research Surgery have sent out a call for abstracts for the 2013 meeting. It will be a joint meeting with the Section of Surgery of the Royal Society of Medicine and will be held at the Royal Society of Medicine, London on Wednesday 9th and Thursday 10th January 2013. To submit an abstract go to http://www.surginet.org.uk/abstracts. I have recently started receiving the paper copy of the BMJ after rejoining the BMA. Flicking through it I am often surprised by the number of plastic surgery related stories. This week Tim Goodacre features as the lead for revision of the BAPRAS national code of practice for cosmetic surgeons. There is also a call for a compulsory register of breast implants. Both these initiatives are in repsonse to the recent PiP implant scandal. 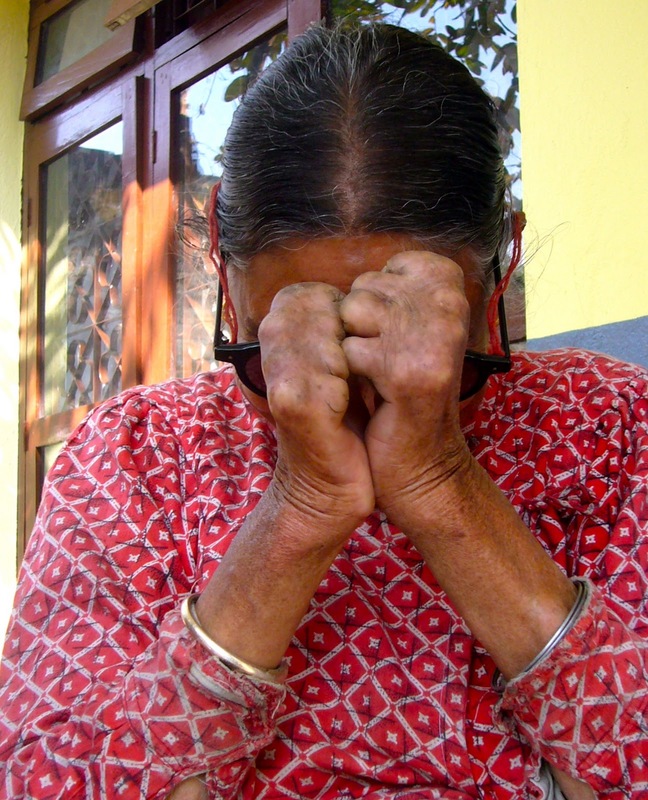 A new, Wellcome funded, video has brought female genital cosmetic surgery to the fore. The surgery is on the rise but are women fully informed? 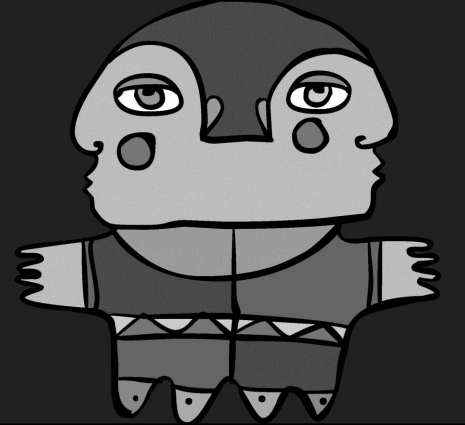 Check out the award winning Centrefold animated documentary here. The inaugural meeting of the IMSS was a great success. It is now going to apply to become a registered charity to be based at the Blizard Institute, Barts and the London School of Medicine and Dentistry. The next meeting with be hosted by Columbia University, NYC, USA on 4th May 2012. Dr Yelena Akelina will be the local organiser. A website is in development but the a correspondence email address is now active microsurgerysimulationsoceity @ gmail.com. Ali Ghanem will serve as the correspondence secretary and Professor Simon Myers is the Inaugural President. 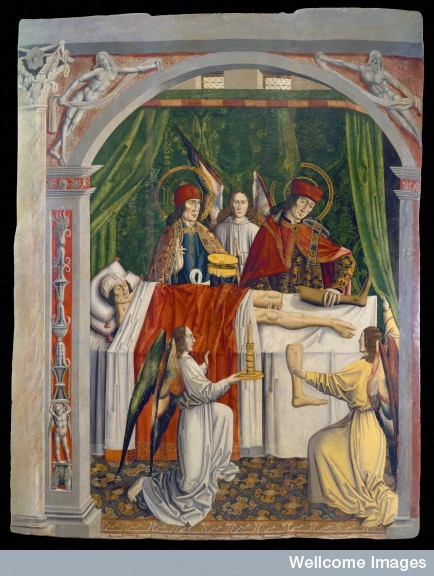 The Inaugural Meeting of the International Microsurgery Simulation Society is this coming Saturday 30th June at Barts and the London School of Medicine in London. The London Deanery has provided a bursary to make the meeting free for UK based plastic surgery trainees. It is followed on Sunday by the 2nd Annual Meeting of the Hypertrophic and Keloid Scar Society. Register for the meetings on the website of the Society for Education and Training in Plastic, Reconstructive and Aesthetic Surgery (SETPRAS). I try to get along to this exhibition each year. This year it is particularly good. 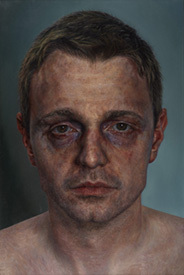 For me one of the best was "Today you were far away" a large self-portrait by Ian Cumberland (pictured). Don't forget if you want to hone your artist skills, Luke Shepherd runs the Sculpture for Surgeons Course. 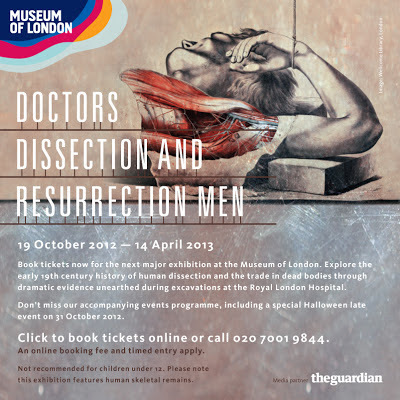 This exhibition recently opened at the Queen's Gallery, Buckingham Palace. It is an incredible collection of anatomical drawings acquired by Charles II in the late 17th century. The drawings can be viewed online but it is well worth seeing them in the flesh. 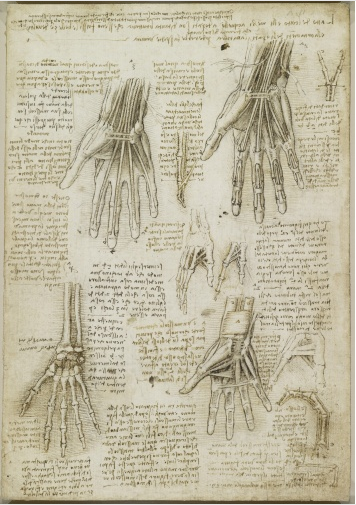 If the drawings had been formally published they would have cast a shadow over the work of Vesalius, which followed shortly afterwards. The 500th anniversary of the birth of Vesalius will be celebrated in a couple of years time. On Tuesday the Plastic Surgery Section at the RSM held an evening on "How to optimise your CV for a consultant post". Barbara Jemec, this year's President, brought together three informative speakers and an unsurprisingly attentive audience of trainees. First up was Eric Freedlander, Past-president of BAPRAS. He spoke on the BAPRAS workforce survey and the implications for trainees. The talk was at best sobering and at times made for painful listening. Nonetheless Mr Freedlander provided a transparent and detailed assessment of the current situation and projected figures for the next few years. The reality is that there is little room at the top and this is unlikely to improve in the near future. Competition to gain entry to the specialty remains stiff. The ratio is 18 applicants for each post at ST3. At the other end there are large numbers of trainees gaining their CCT (projected 35 this year) but few retiring surgeons (4 in 2011). There are approximately 424 consultants in the UK with 40-55 age bracket containing the largest number. Over the last ten years there has been significant expansion in consultant numbers but this has now come to an end. The current financial climate and rationing will probably lead to further reduction in workload. Consultant numbers could be expanded a little if fewer consultant worked beyond a full time job and gave these hours to a new post. There might be an increase in part time working as the number of female trainees increases. However, there is no evidence of this with the current work force - female surgeons are working the same number of hours as their male colleagues. The plastic surgery group at Barts and The London / Queen Mary's have launched their website. It contains information about the Microsurgery Anastomosis Simulation Hub (MASH) and their courses. These include an MSc in Burn Care, MSc in Aesthetic Surgery and a Diploma in Aesthetic Medicine. They are also home to a Keloid research group. The Frankfurt Microsurgery Teaching Course is run twice a year and taught in English. It is five days long and costs approximately £1300. The website has a PDF of the programme and lots of other information about the course as well as some positive feedback . . .
Anglia Ruskin University has launched a new MSc in Plastic and Aesthetic Surgery Practice. The first course will start in September. 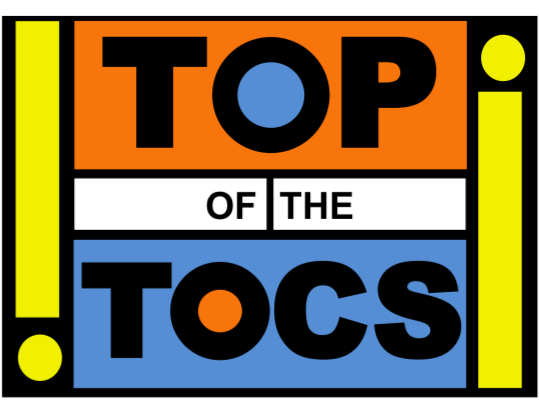 It has had a luke warm response from the RCS and BAAPS. 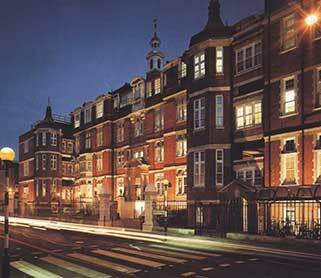 There is already an MSc in Aesthetic Surgery at Barts and The London. 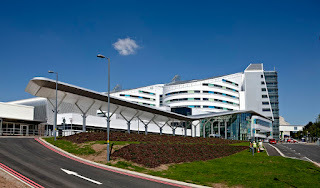 The annual West Midlands "National Plastic and Burns Surgery Scientific Meeting" is on Saturday 22nd September 2012. The Douglas Murray Prize will be awarded to the best presentation of original research, audit, review article or technical innovation. There is also a Travelling Fellowship Award Sponsored by Mercian. 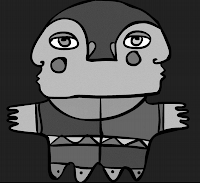 The closing deadline for abstracts (200 words) and the Travelling Fellowship is 20th August. Email kim.matthews@uhb.nhs.uk with the abstract and for further details. 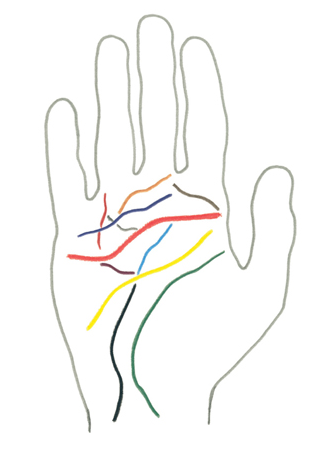 The Hand Fixation Course is October 22-24th and this is followed by the Wrist Fixation Course 25th - 26th, 2012. Both are being held in Leeds. Course fees includes all course materials, lunches and light refreshments. This is a new microsurgery course organised by MY Plastic Surgery Course on May 31st - June 1st 2012. It is aimed at trainees with little or no previous microsurgery experience or for more senior trainees as a refresher course. The course costs £450 for the two days and includes a course dinner. Below are the forthcoming meetings of the Plastic Surgery Section. The meeting this coming Tuesday promises to be an interesting one with Professor Christophe Oberlin from the University of Denis Diderot talking on 'Brachial plexus injuries in Paris and Gaza'. Selected articles from JPRAS, PRS, Annals, European Journal, J Hand Surgery and others that caught my eye. . . .
Thorne CH, Wilkes G. Ear deformities, otoplasty, and ear reconstruction. Plast Reconstr Surg 2012; 129(4):701e–716e. 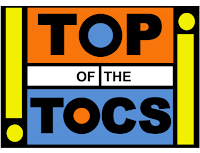 DOI: 10.1097/PRS.0b013e3182450d9f. The CME article in this months PRS. Luce E. Beyond working hours: part I. Genesis and current difficulties. Plast Reconstr Surg 2012; 129(4):1015–1021. DOI: 10.1097/PRS.0b013e3182450c27 and Beyond working hours: Part II. Incentive to improve. DOI: 10.1097/PRS.0b013e31824421fa. Wan DC, Wang KC, Longaker MT. Training the contemporary surgeon-scientist. Plast Reconstr Surg 2012; 129(4):1023–1025. DOI: 10.1097/PRS.0b013e31824421e8. Pu LLQ. Towards more rationalized approach to autologous fat grafting. J Plast Reconstr Aesth Surg 2012; 65(4):413-419. Sucher, R, Lin CH, Oberhuber et al. Hemiface allotransplantation in the mouse. Plast Reconstr Surg 2012; 129(4):867–870. DOI: 10.1097/PRS.0b013e3182450aff. In more course news . . . 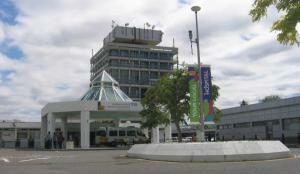 The one day Wexham Park Viva Course in Plastic Surgery is on 28th April 2012. It costs £125 for the day. Places will be allocated on a first come, first served basis. To apply please email: Maura.Stock@hwph-tr.nhs.uk for an application form. Confirmation of place will be made upon receipt of the course fee and completed application form. Preference will be given to those taking the exam soon. This is a two-day course (15-16th May 2012) run by the RCSEng and supported by the BSSH. It is aimed at ST 4-8 trainees, hand fellows and junior consultants. The course director is Mr Matthew James (St Thomas' Hospital) and costs £850. It builds on the successful "Core Skills in Hand Surgery course" run at the RCSEng. See the website for further details and to apply. It counts towards the BSSH Diploma in Hand Surgery. Dermoscopy is widely used by dermatologists but less so by plastic surgeons. 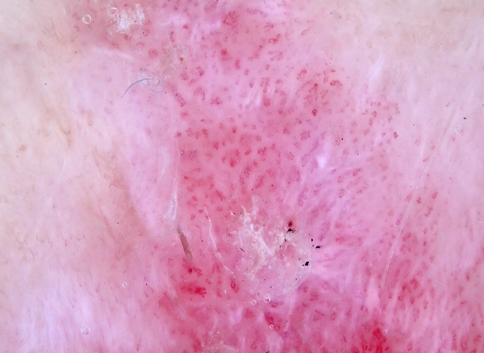 Dermoscopes typically use a combination of magnification and polarised light to allow close inspection of skin lesions without interference from skin surface reflections. In the UK there are a number of dermatoscopy courses. Dermoscopy UK organises a one day course for plastic surgeons. The next one is in Oxford on 9th November 2012. Dermatoscopes come in all sorts of shapes and sizes, which are outlined here. There is even an attachment for the iPhone. The Handyscope looks great, but I'm not sure how well it works. DermNet NZ is a large dermatology resource, which has dermoscopy quizzes with lots of pics. 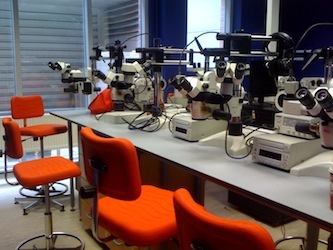 The International Dermoscopy Society has a large collection of dermoscopy training videos here. Eric Ehrsam also has a dermascopy blog presenting lots of cases to work through. I am yet to review any dermoscopy books. Standards for Management of Open Fractures of the Lower Limb from BAPRAS on Vimeo. Leicester are continuing to run their successful programme of courses this year. Provisional dates are below, more information to follow. Elaine James is the course administrator. Contact her on ej9@le.ac.uk or 0116 2584702. The GMC has detailed guidance on consent for medical photography and other material. 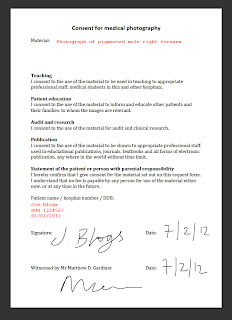 Informed consent is required for most material and images must be stored securely. As a data controller you also need to be registered with the Information Commissioner. 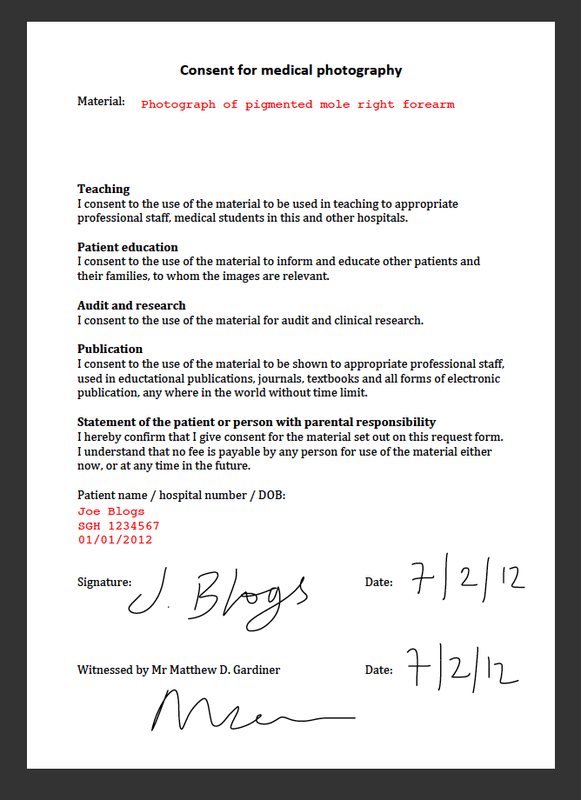 Here is a nifty way of using the iPad2 to record consent for medical photography and keep it secure. 1. Create a PDF of your consent form, such as the one here. 2. Open it in GoodReader (security protected and the files are encrypted). Get yourself down to the Science Museum to have your face scanned in 3D. A collaboration between Great Ormond Street Hospital, University College Hospital and the UCL Eastman Dental Hospital and Institute is attempting to create the largest database of 3D facial images in the world.